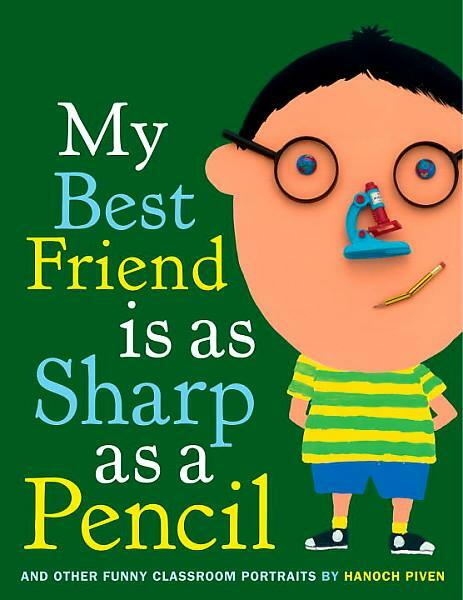 This book isn’t new, nor does it tackle a new theme of school time. 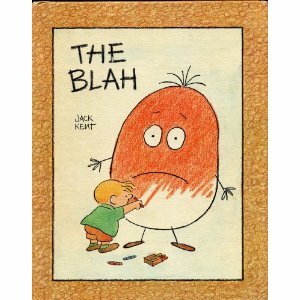 Nevertheless, this book brought about such a turnaround in our household that I can’t help but write about it. When my sons went to preschool, I was that mother with the weeping child. The one whose children literally held on to her clothing, begging for her not to leave…whose sticky fingers and tear-stained faces peeked out from the window as I was directed to walk away since I was “upsetting the children.” After sobbing in my car for what seemed like weeks, a friend of mind recommended Audrey Penn’s amazing book, The Kissing Hand. 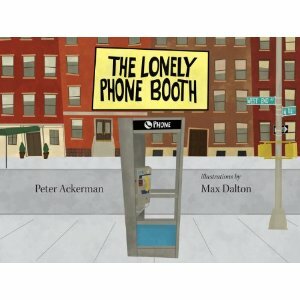 The powers of this book seemed to be widespread at this time, but for anyone who is facing a teary first few weeks of school, it might be just what the doctor ordered. 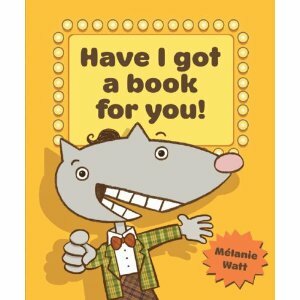 In this lovely little book, Chester Raccoon wants to stay home with his mother instead of going to school. 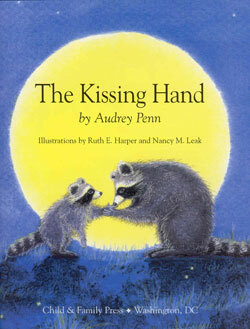 His mother (a significantly more enterprising mother than I) tells Chester of a secret – a “kissing hand” in which she takes her son’s little paw and kisses it right in the middle. When he feels sad or lonely at school, all he has to do is take that kissing hand and press it to his cheek to feel all the love his mother has for him. It may sound sappy, but it worked for me and my sons and turned what once was a saline-laden experience into a new tradition of comfort and love. 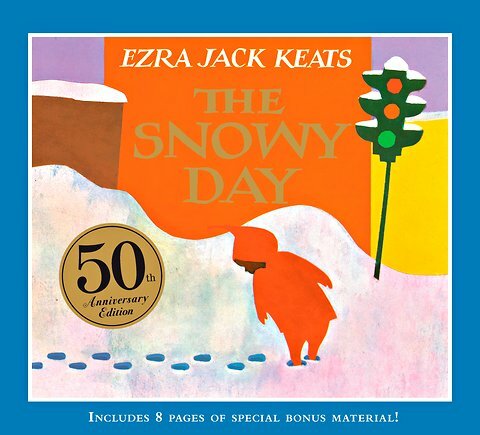 Amazing to think that it has been 50 years since Ezra Jack Keats published his quietly groundbreaking children’s book, The Snowy Day. Today, we celebrate that achievement with the 50th Anniversary edition of the book – available now at bookstores near you. Not only is The Snowy Day one of the most lovely and gorgeous books of its generation, it brought with it the added triumph of being, what is widely known as, the first mainstream children’s book to feature an African-American child as its lead character. 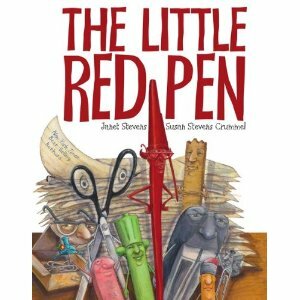 Peter, in his bright red snowsuit and matching elfin hat, not only made footprints across a snowy landscape, but made important footprints across American literature. For me, the success of Ezra Jack Keats, long a hero of mine, is not necessarily in his choice of Peter’s ethnicity, but in his ability to create a piece of literature in which the ethnicity of the child was not the focus of the book. His simple tales of childhood and city life speak not just to one but to multiple audiences – carving out a new lexicon in children’s literature that has been spoken from then on. If you have never read The Snowy Day or even if you’ve read it 100 times, please celebrate this special anniversary by sharing it with your children – a generation who, hopefully, won’t even notice that Peter is any different from them.